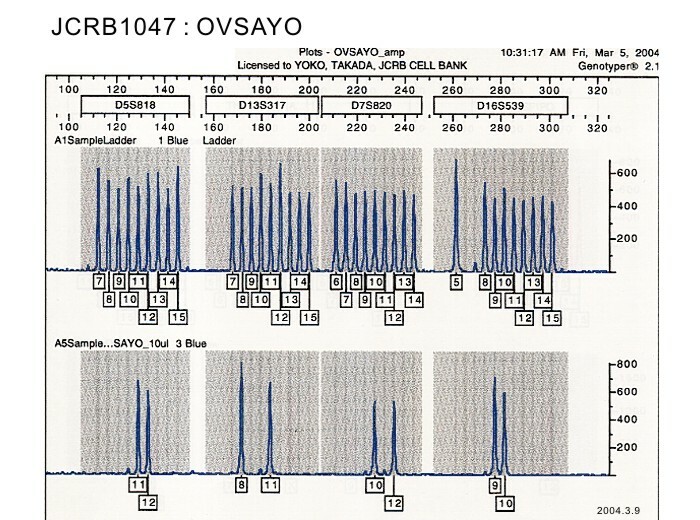 OVSAYO was reported to be established from ovarian adenocarcinoma stage Ic, 64-year-old female patient. 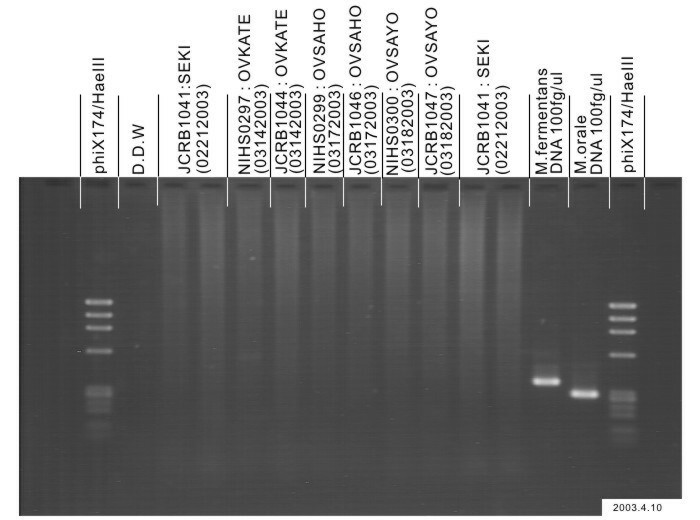 However, DNA-based analysis in JCRB cell bank revealed that OVSAYO is identical to the other ovarian cancer cell line, OVMIU (adenocarcinoma stage IIIc, 46-year-old patient). 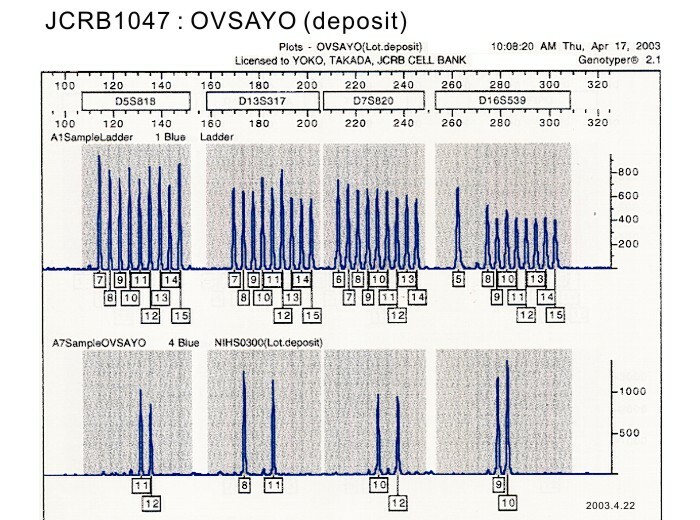 In addition OVMIU-II was reported to be derived from the same patient as OVMIU but the DNA pattern is not identical to OVMIU. 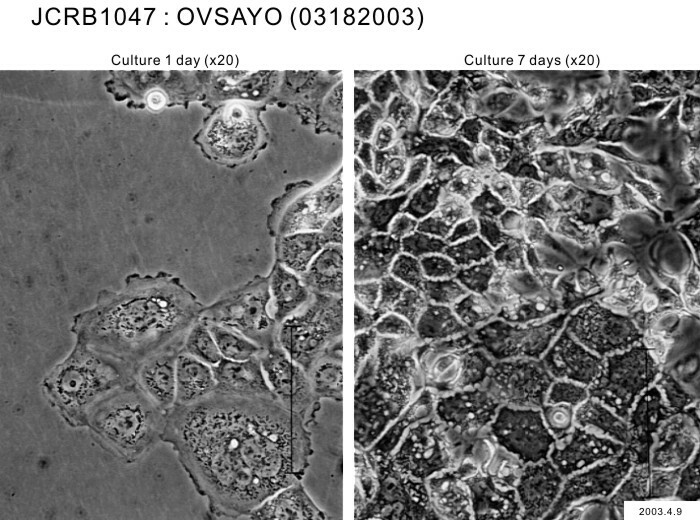 The same result was obtained for the lots of cell lines with younger passages preserved in the developer's laboratory. 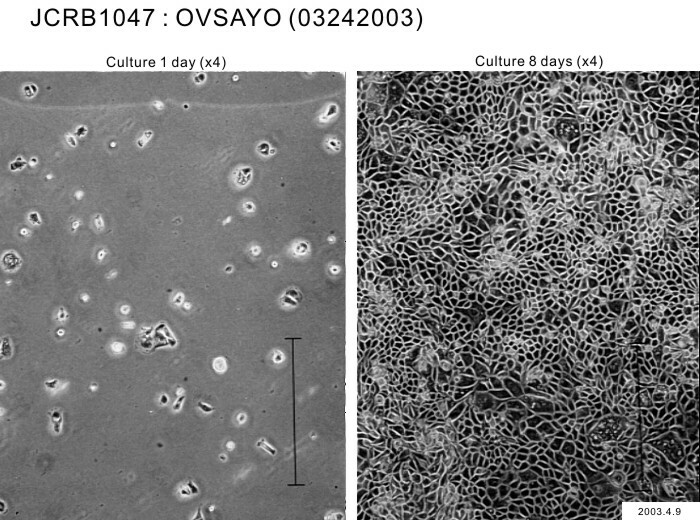 Apparently, cross-culture contamination or misplacement occured during the establishment or maintenance of these cell lines. 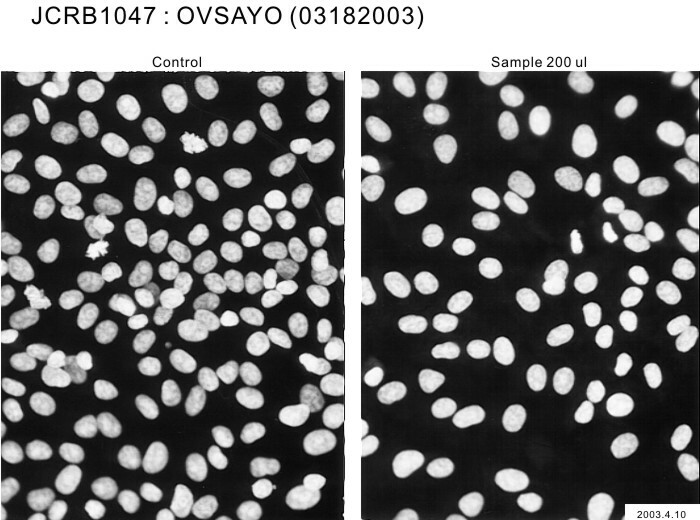 Therefore please notice that the identities of these cell lines are ambiguous. 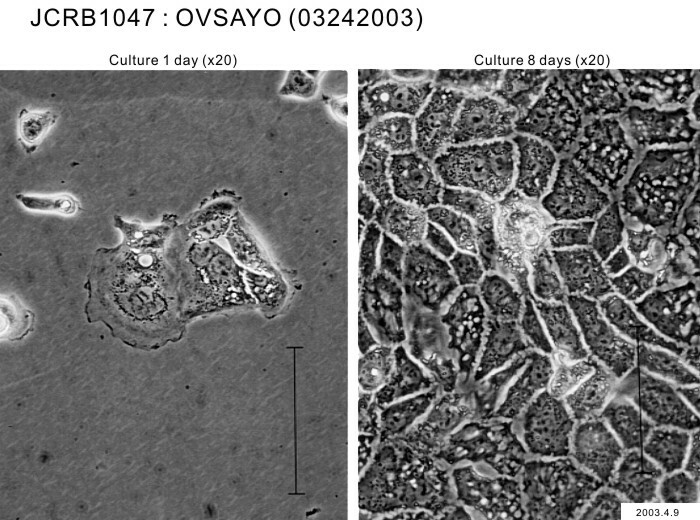 Human cell line derived from ovarian tumour. 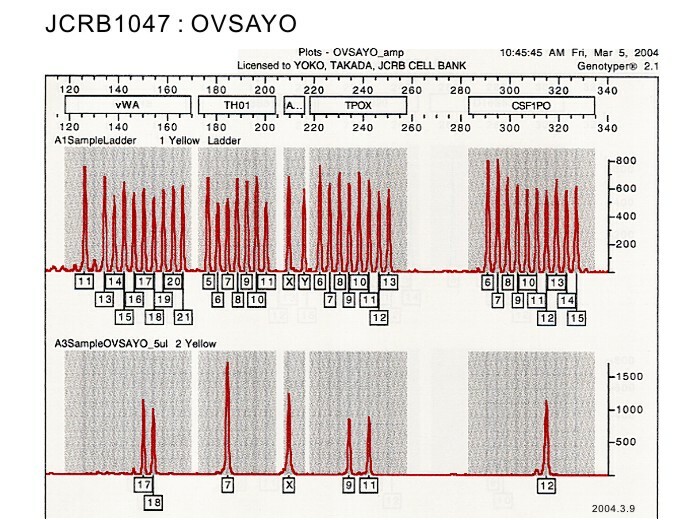 ovarian carcinoma, stage Ic, not treated before. 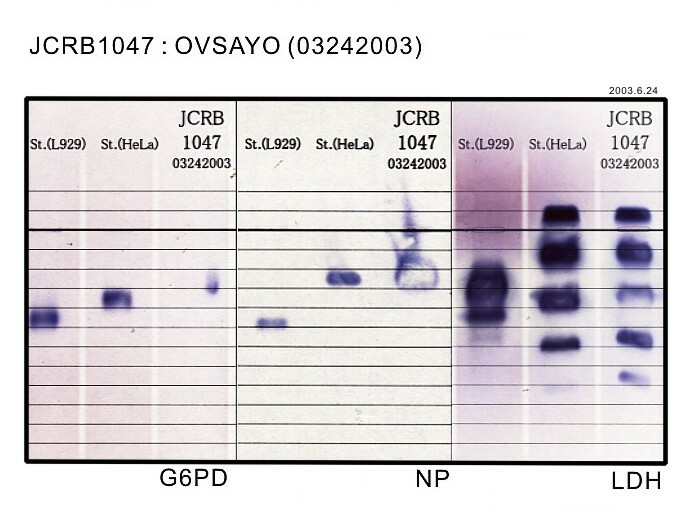 ER(-), PR(-) / tumour markers, CA125, SLX, TPA(x). 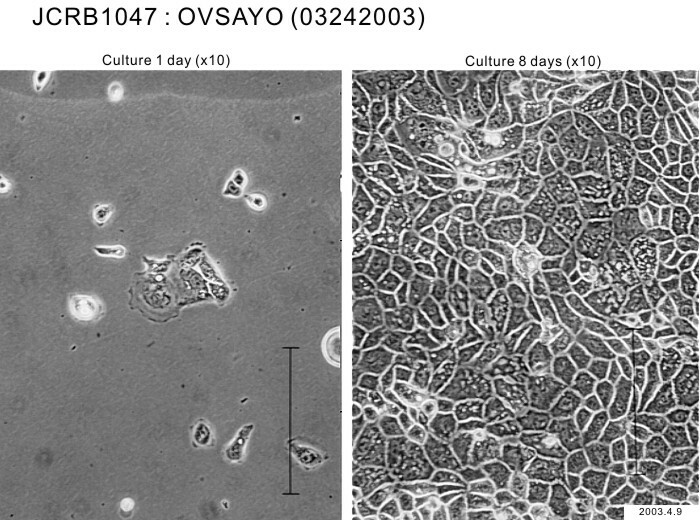 Cells were not transplantable to mouse. 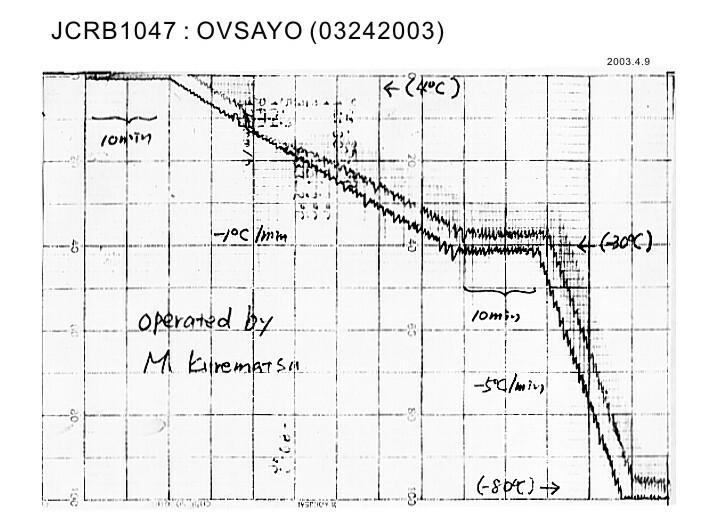 User information should be reported to Dr. Gorai promptly. 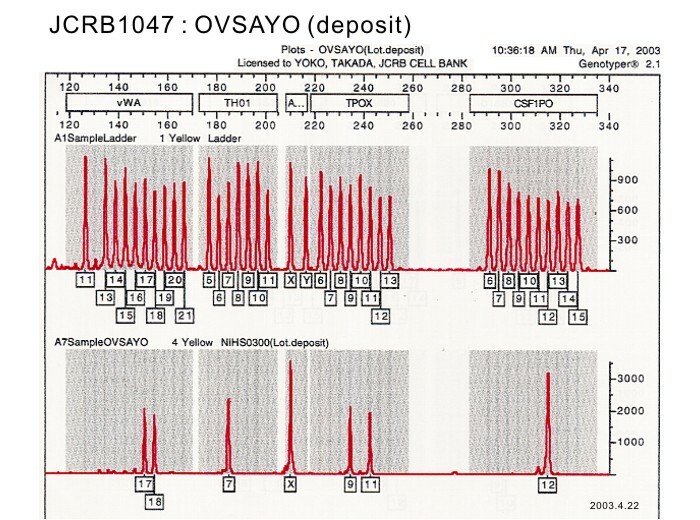 The STR pattern of the OVSAYO was consistent with the OVMIU while it was expected to be unique. 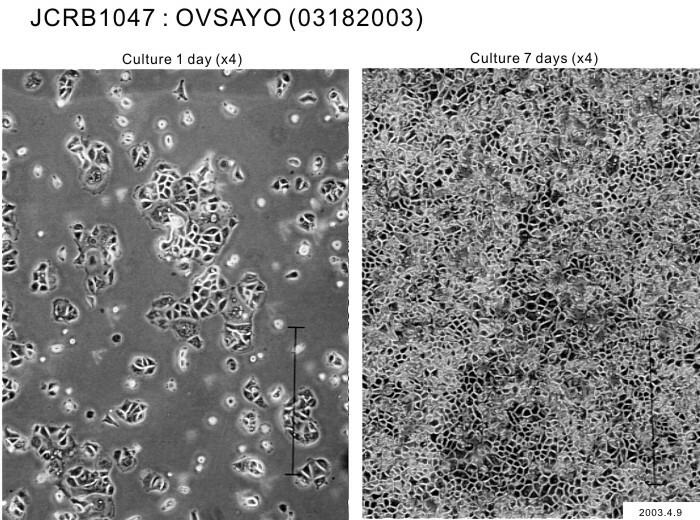 Cells are harvested after treatment with 0.05% trypsin. 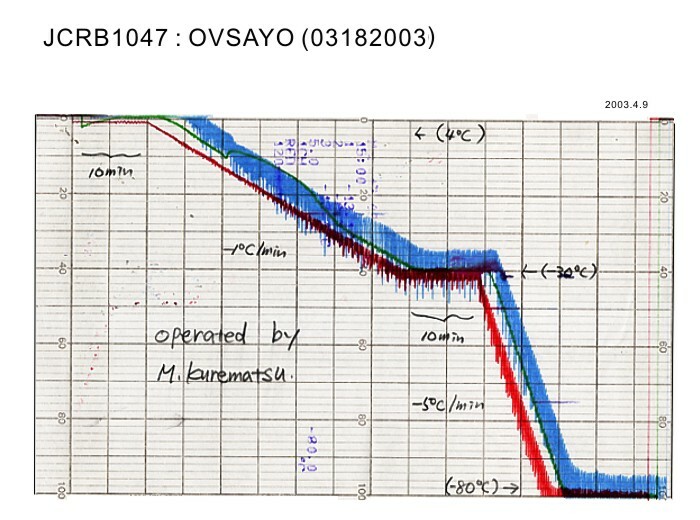 Change medium every 3-4 days. 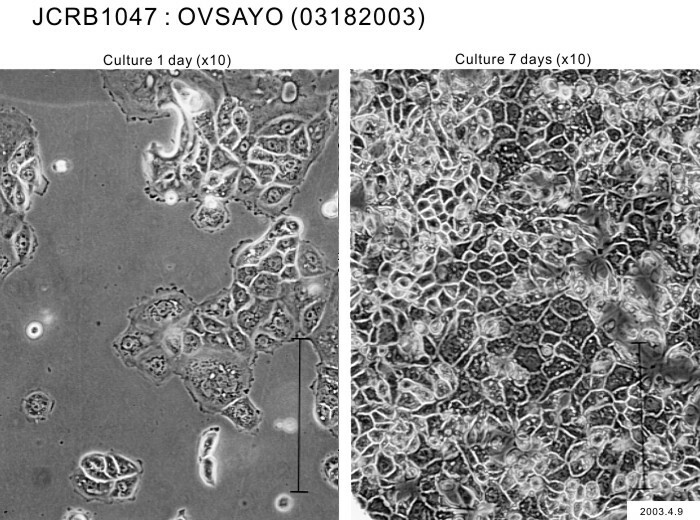 Marked induction of gelatinases, especially type B, in host fibroblasts by human ovarian cancer cells in athymic mice. 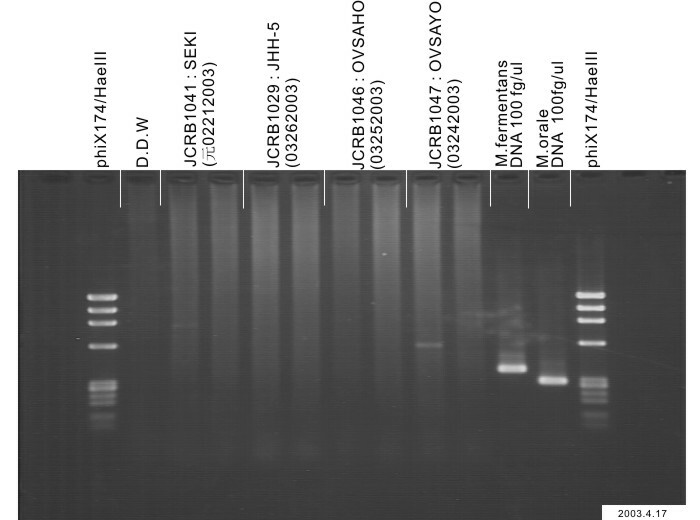 RPMI1640 medium with 10% fetal calf serum (Intergen RB52305). 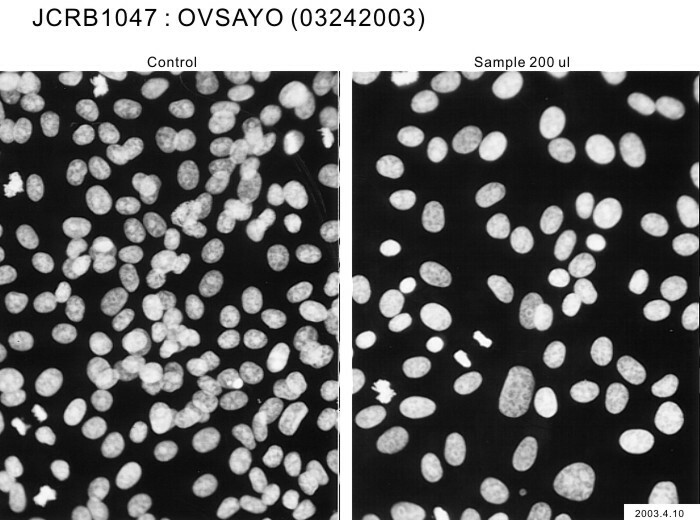 Cells harvested after treatment with 0.05% trypsin for less than 15 minutes. 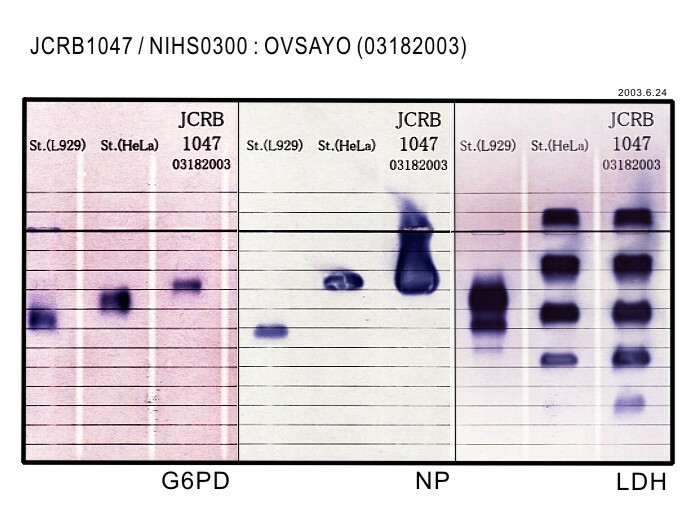 G6PD(type B), NP, LDH examined. Human not HeLa.